We moved into our home just over 2 years ago and we had a couple small leaks arise recently. We contacted Mike and Mark and they came out and promptly fixed the items we were concerned about. We've been happy with our Currahee Home, from the craftsmanship to the process. Mike Elrod created a fantastic design. Stunning. We moved from a cushy suburban life in a very nice house, and relocated ourselves way out in the country......all because of his house design. Quality from end to end. And Mike Elrod stands by his product. And this was a spec home. All punch list items have been taken care of properly and his customer service is awesome. We would recommend him to anyone at all income levels. David and I have worked with Mike and Mark for almost two years. They met us numerous times to make our house plans fit our needs. Never once did they say "we can't do that". They met every request we had come to life. From the drawing stage to the day we moved in Mark and Mike made sure they did what we asked (which included many changes along the way). All the subs we worked with were very polite and responsive. I couldn't imagine building a home without Mark by our side. He gets it done! Thanks for all your guidance, patience and professionalism. You made our dream come to life! From our family to yours we appreciate all the hoops you jumped through to get us in by our deadline. I would highly recommend this team to anyone wanting to make their dream home a reality!! I've had such a wonderful experience selling homes built by Currahee. They strive to make each home unique to each family they are building it for. The quality of their construction is above par as well. We love our beautiful new home! Mike and the entire Currahee Home Builders team did an amazing job! I used Currahee Home Builders to convert a freestanding garage to a bunkhouse with bathroom and seating area. The fact that I was not going to be on site daily because I lived an hour and half away gave me pause. This project couldn't have gone smoother. Mark was great and always available to talk with me when I had questions. The subs they used were of the highest quality and I am EXTREMELY picky. They were able to finish on budget which was a first in any projects I have worked on. 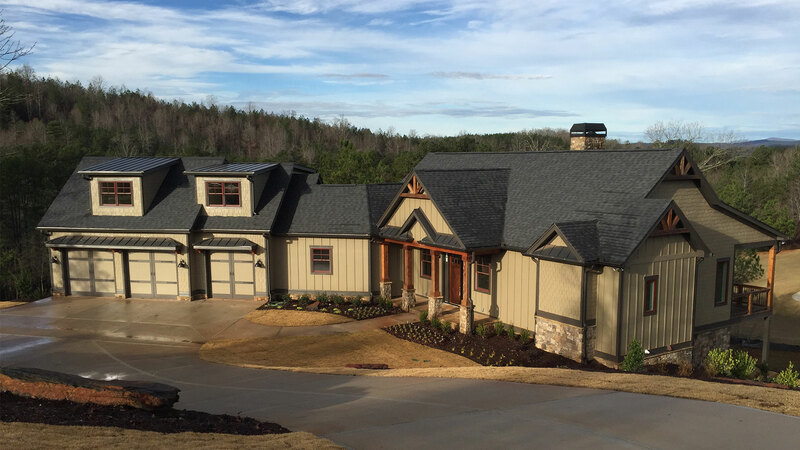 I highly recommend Currahee Home Builders if you are looking for a builder that is detail oriented and willing to go the extra mile to make the customer happy! Currahee Home Builders did such an amazing job on our house. Mark and Mike are very easy to work with and always readily available. We would recommend Currahee homebuilders to anyone looking to build. We love all the details of our beautiful home! There is true craftsmanship around every corner and so much attention to detail. Gorgeous fixtures, a beautiful porch and deck strategically placed for gorgeous sunsets over Pool Mountain, windows, doors, cabinets, hardwood floors, the kitchen island, the layout-all gorgeous! The team at Currahee focus on quality and takes time to listen to your needs and provide you your dream home. They are friendly and easy to work with. The work is not sloppy in any sense. These guys love what they do and it shows in the beautiful art they create for your family.